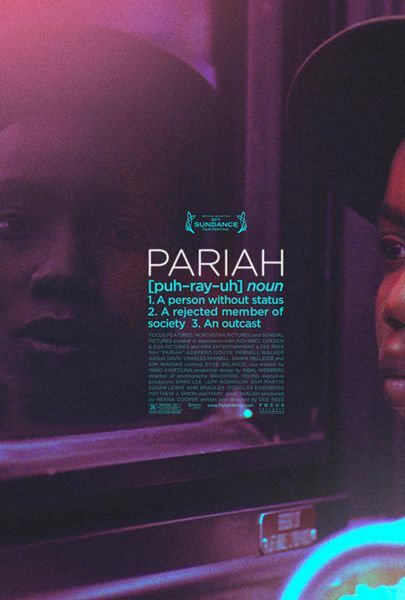 In the indie drama Pariah, opening in limited release on December 28th, Alike (Adepero Oduye) is a 17-year-old African-American woman, who lives with her parents and younger sister in Brooklyn’s Fort Greene neighborhood. Quietly but firmly embracing her identity as a lesbian, she has the support of her best friend, out lesbian Laura (Pernell Walker), but her parents already strained marriage becomes even more tense, at any mention of the topic at home. Regardless of the fact that she feels like she can’t confide in her own family, Alike’s humor and tenacity proves to be a great asset, as she struggles through adolescence to achieve her dreams. Question: How did the idea for Pariah start? Did you write it with the intention of also directing it? DEE REES: Yes, I did. I wrote this when I was going through my own coming out process. It’s funny because I had a story that I was going to write, and I was having a really tough time with my parents at the time, and it was actually the producer, Nekisa Cooper, who said, “You should write about this and get it out.” I was like, “Are you kidding me? I don’t want anybody to know about this. I just want to move on.” But, I wrote it and, like Alike, my struggle was understanding that there’s a range of gender identity and that you don’t have to check a box. I came out at 27. Alike is 17. So, I was really super-imposing some of that experience onto a 17-year-old. It was like, “If I had come out at 17, what might that have looked like?” I really wanted to explore that, and also Alike’s struggle with the idea that her spirituality and her sexuality aren’t mutually exclusive. That was something that I struggled with. Having to stake out your identity and have people question whether or not you’re being yourself was a tension that I could relate to. I just wanted to pour all of that into the film, in the context of these characters who we hadn’t seen before, and set in a community where you get this nice cross-section of socio-economics and people. What made you decide to make it first as a short, and did you always know that you would do a full-length feature, at some point? REES: Yes, I first wrote it as a feature film. It was 140 pages. It was a monster. But, it was my feature film to graduate from NYU and I couldn’t really think of anything else. I was fixated on these characters, so I decided to take the first act of the feature and change some stuff around and shoot it as a short film. It was great because it really allowed us to workshop the friendship, with Laura and Alike, and really set the groundwork for establishing the tone and feel of the film, but it was always intended to be a feature. Doing the short was great because it allowed us to get attention and start getting buzz on the festival circuit. It actually ended up being a nice selling tool, when we were looking for investors to be a part of the film. Were there any major challenges in making a personal story like this universal for audiences? REES: I didn’t even worry about how it would be received or what people would think. I knew that, if I was just true to Alike and her world, that people would be able to tap in. I really wanted to trust the audience, and knew that the audience would be smart and be able to relate. At the end of the day, the film is about identity. It’s about how to be yourself. Gay, straight, black, white, or whatever your background, you’re going to be able to connect with somebody on the screen and see yourself, and hopefully look at yourself or the world differently. As I was writing, I didn’t worry about universality. I knew that the more specific I was, the more true it would ring and the more people from all different backgrounds could relate to it. Was there a point that you realized it wasn’t just gay audiences that were responding to this film, but all audiences were really connecting to the emotions of the story? REES: Yeah, right away. Actually, we saw that with the short film. It screened at over 40 festivals, worldwide, and won 25 Best Short awards, and that was at mainstream festivals, people of color festivals, and gay festivals. Across all those different audiences, the film was getting love and acceptance. And so, when we did the feature, right off the bat, we screened at Sundance to a sold-out crowd, and we knew that people were relating to it and people could see themselves. It just really was great ‘cause it was a validation of what we had known – that this was a universal story and an idea about friendship, family and love that everybody could connect to. It was great to see that affirmed in public. In taking such a long journey with the film, did you ever feel like it just would never get to theaters, or do you feel that there were advantages to waiting so long to get it out in the world? REES: I feel like there were definitely times where it seemed like things were taking longer, and we would just keep working. And then, there were times where we didn’t get the phone call that we wanted to get. I give Nekisa Cooper, the producer, the credit for being able to handle all that ‘cause she was the one who pulled together the deals and got the crew and got the money together. But, even in those darker times, there was still irrational hope that it was going to happen. There was this belief that somehow it would get done, so we never let ourselves get too far down. Also, I think it did benefit from taking so long because we all got better as artists. I became a better writer and director. Bradford Young became a better cinematographer and got to pull more images and really immerse himself in his craft. The actors, too, got to sink into the roles. I think it was almost a blessing in disguise that it took so long because we all got to just stay with the material and work on it and just continue to push forward, in our different ways. Can you talk about assembling the cast for this, and what made Adepero Oduye your perfect Alike? REES: Adepero is amazing. She actually came to us on the first day of auditions, when we were doing the short version of the film, and she just had this innate understanding of Alike’s outsider-ness. It was important for me to have an actress who could relate to what it feels like to be on the outside and to feel like you don’t quite fit in. Adepero just captured that perfectly. She came out dressed in her little brother’s clothes, and she was in a zone. She was so focused and so un-self conscious. She totally immersed herself in it. I believed every second of it, when she was in front of me. She had that expressiveness and that ability to capture Alike’s hesitancy and her introversion, so she was perfect. And Pernell Walker, who plays Laura, also came in on the short film. It wasn’t just important that the actresses be good, but it was important that they be good together, and she and Adepero had this chemistry. It was clear, in the room. You could believe that they would be friends and that they would be hanging out together. Aasha Davis plays the love interest, Bina, and I saw her from TV. I had just watched an episode of Friday Night Lights. She had a three-episode arc, and I thought she was amazing. And Sahra Mellesse, who plays the little sister, also came in on the short film. In the end, it was about the dynamics. She worked well with Adepero, and they bounced off each other. We just found a really great ensemble cast. With the parents, those were harder roles to cast. The casting director actually ended up casting those roles out in L.A. With the family, we wanted to have a believable family dynamic. For Audrey, we had to have somebody who had that loneliness and vulnerability, and Kim [Wayans] was the only actress who really brought that forward. With Arthur, he needed to be somebody who was believably strong and was a man among men, but had this soft side for his daughter, and Charles Parnell really brought that forward. It was just a really beautiful ensemble cast, and we worked really hard and spent a lot of time to make sure that we got it right. With so much bullying going on now, and so many gay teens speaking out about it, what do you hope people get from seeing Pariah? Does it feel especially significant now, to tell this story about someone who can learn to be comfortable in their own skin and succeed in life? REES: Yeah, the timing really worked out. I’m glad that it’s actually out, at a time when teens need this film and people are actually grappling with this issue. I hope that teens who are going through it will take away the fact that it’s okay for them to not check a box and it’s okay for them to be themselves. For parents and friends who may not be understanding, or who may be on the other side of it, I hope that they’ll see that they should love their family members and their children, as they are, and not force them to be something that they’re not. I think that they’ll be able to see that everybody deserves love and everybody deserves respect. They shouldn’t impose their own views on somebody, or make somebody feel uncomfortable because of who they are. Was there a scene or a moment in the film that was most meaningful for you, when you finally got to see it brought to life? REES: I would say the rooftop scene, where Alike is talking to Arthur and is explaining her college plans. That was a very meaningful scene to me because it was about Alike affirming that she’s not running and that she is in charge of her destiny. That was really impactful for me to see, especially at the end, when she gives back that line, “God doesn’t make mistakes.” That was a line that Audrey used against her, and that was a big part of her personal struggle. That affirmation of, “I’m not a mistake. There’s nothing wrong with me,” is a really strong statement that really moved me. What were the biggest challenges in shooting this entire film in 18 days? REES: Yeah, Nekisa really did a great job in creating a calm environment on set, so although it was a tight shooting schedule, we pretty much knew what we were doing and it wasn’t crazy, in that way. It just meant that we did more planning, up front, so we knew what scenes we had to get through, that day. We really just worked harder to make sure that we were prepared for it. I had an 80-page shot list and floor plans. My D.P. and I talked about it, at infinitum, and we had been to the location several times to visit it, so that we got there on shoot day, we weren’t just figuring it out and blocking it out, for the first time. In that way, it wasn’t crazy. We were able to use the limited time that we had on getting the performances down. What did you learn about filmmaking from working with Spike Lee, and what does it mean to you to have him as an executive producer on the film? REES: He basically lent his mentorship and his guidance to the project, and it was great because I actually had him as a professor at NYU. He taught a master class in directing and he gave me my first internship in film. From him, I learned that it all has to be on the screen. You don’t get to hand footnotes to the audience, or explain what you were trying to do and what it’s supposed to be. Everything has to be on the screen and it has to be clear. By interning with him on Inside Man and When the Levees Broke, I got to see how he interacts with crew and cast, and how a set should be run. It was definitely a great experience, to just observe how a film set can run smoothly. I just learned from him to get it done, no matter what. So, Nekisa asked him to come on board as executive producer because he had been giving us advice anyway, and he really poured himself into it. He would give Nekisa notes on the budget. He would watch cuts of the film and give us notes. He was just really there, like a mentor, to give us guidance through the whole process. It was great to have him there. Do you have any idea what you’d like to do next? Are you already working on something? REES: Yes, I actually just finished another script for Focus Features, called Bolo. I’m really excited about that. It’s a thriller, set in the South. And then, I’m also working on a TV series with HBO and Viola Davis that I’m excited about. And, I also finished another feature script, called Large Print, which is about this 50-something insurance adjustor, and it talks about how to redefine happiness for yourself and agism. I’m always excited about stories that allow me to explore a character and create interesting stories and worlds that we haven’t seen before. What did you learn from this experience, that you think you’ll be able to carry with you now, to your future work? REES: I think the thing that I learned is just perseverance and just to keep going. Also, just stay true to the characters and the world, and don’t worry about the commercial piece of it. As long as you tell the best story possible, you can trust that people will be able to connect to it.